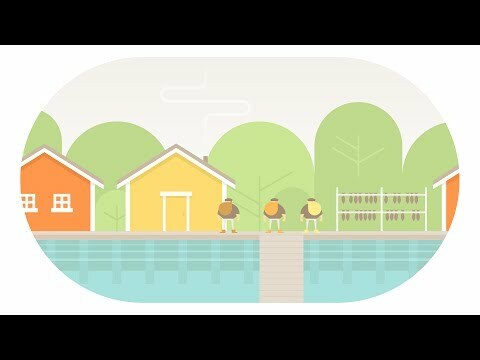 Burly Men at Sea is a folk tale featuring a trio of bearded and well-built fishermen who leave their ordinary lives to go on an adventure. The scenario of the game, which takes place in Scandinavia at the beginning of the twentieth century, branched out according to encounters with folk creatures. You play as the storyteller who shapes the story around the three unbalanced heroes. AN INTERACTIVE WORLD: Create the story by interacting with the characters and the world around them. Resize and drag the interactive window through which you observe them. ESPECIALLY AESTHETIC: discover colorful graphics and craft animation, enhanced by an original and whimsical soundtrack inspired by the Scandinavian theme of the game.